Can you believe we are already in August? Summer will be over before we know it! 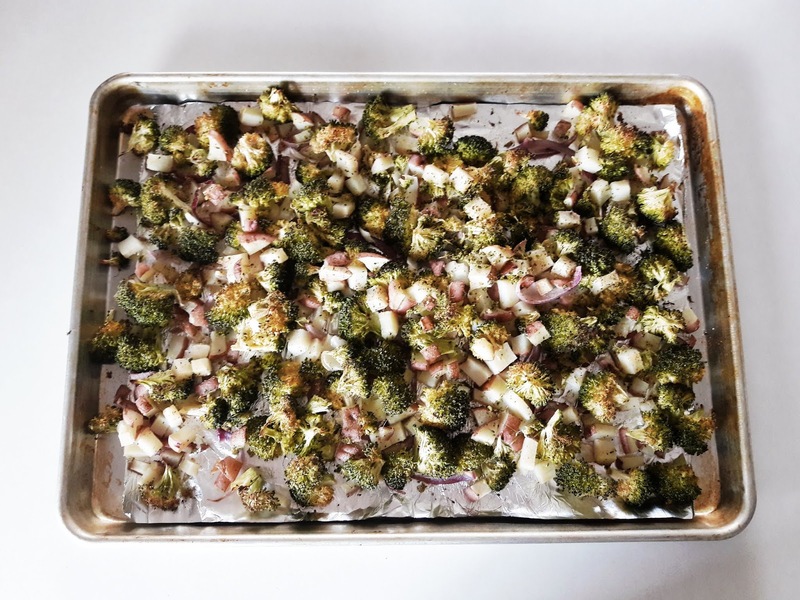 To make these last few summer days even more enjoyable I wanted to share a few of our favorite barbecue sides for you to enjoy. These are our go to as they are quick, easy and healthy. Wash and dry your vegetables thoroughly. 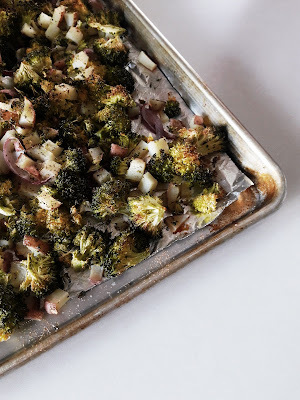 Our favorites are broccoli, squash, and potatoes with some chopped onion for flavor. Chop your vegetables into florets, slices and cubes. Place your vegetables on the lined baking sheet and organize into a single layer. Add a thin coat of cooking spray on top. Sprinkle with garlic powder, onion powder, salt and pepper. Growing up whenever we had corn for dinner it was boiled. Husk corn and remove stem. Cut a piece of Aluminum Foil large enough to wrap around your corn. Place your corn in the middle of the Aluminum Foil. We are always changing it up. We usually stick with two or three. Our favorites are garlic powder with Italian seasoning, basil, oregano or some paprika for heat! Get creative and work with your favorite flavors. 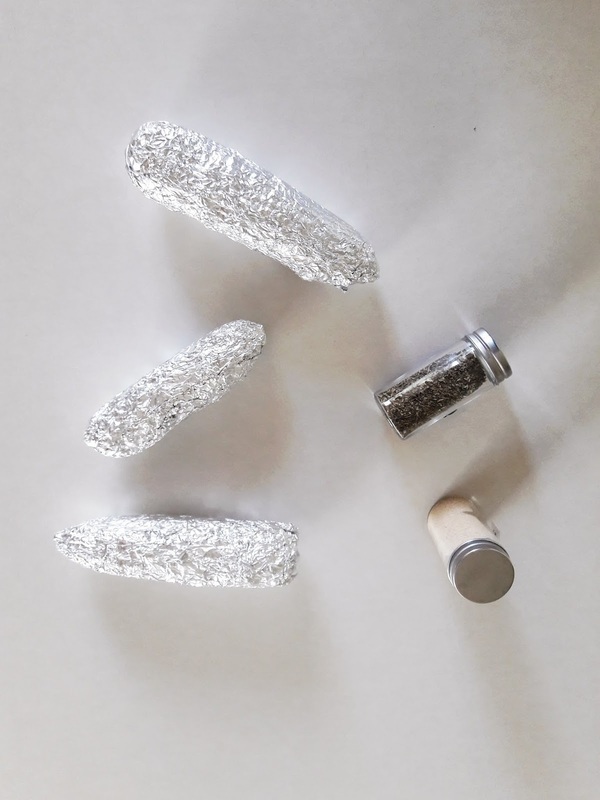 Roll your corn back and forth on the Aluminum Foil to ensure all sides are well coated. Turn your grill on to medium high heat. 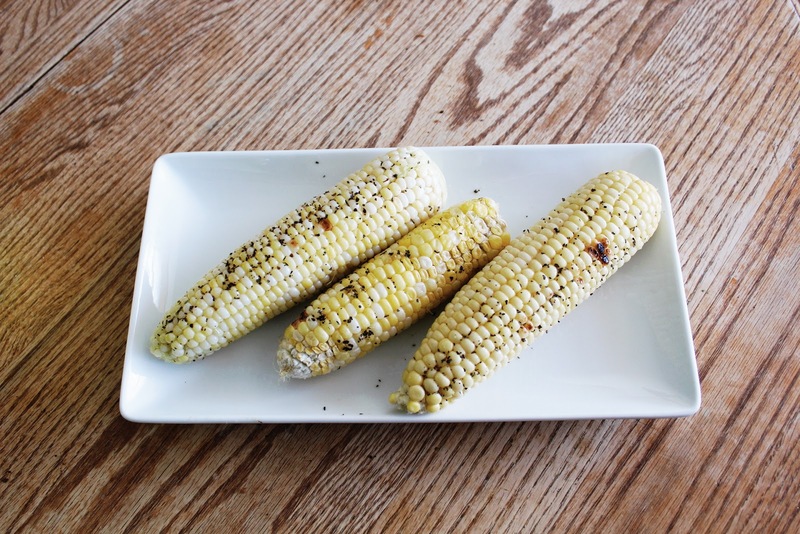 Place corn on the grill and cook for 25 - 30 minutes, turning occasionally. Open the foil, be careful it will be hot! Add butter and salt, if desired. 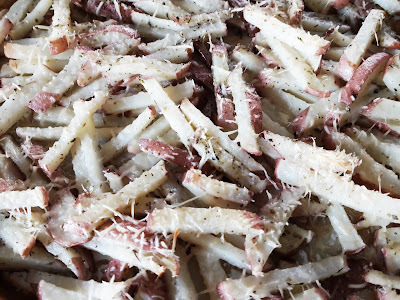 We absolutely love these fries! We found the original recipe here. Wash and dry your potatoes thoroughly. We always have red potatoes on hand in our house but you can use 3-4 large potatoes if you'd prefer. Cut into strips and place into a large bowl. Add olive oil, salt, garlic powder and Italian seasoning. 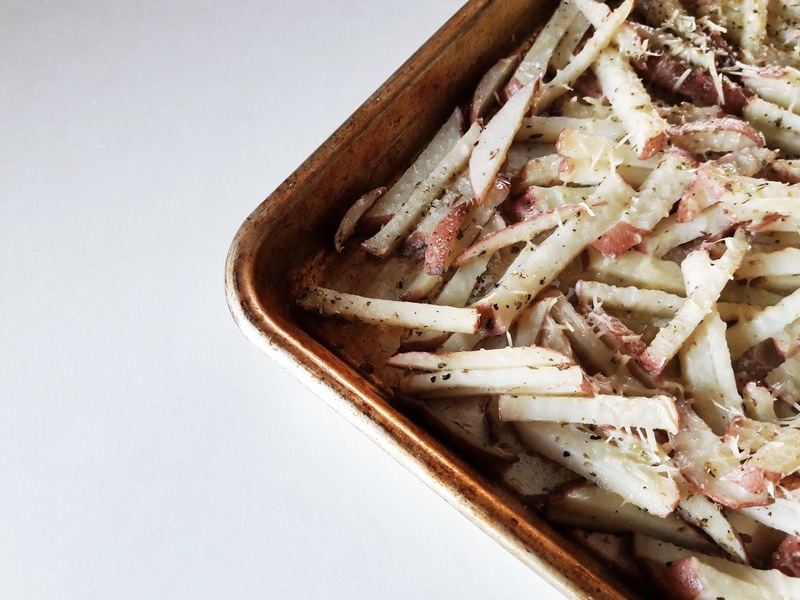 Place potatoes on the lined baking sheet and organize into a single layer. Bake for 25 - 35 minutes, until fork tender. These are just a few of our favorites sides. I am so excited to enjoy them a few more times this summer. What are some of your favorite barbecue sides?